May 2016 – Narooma Rotary Club Inc.
Last Sunday was a very good day for our Markets and a surprising result for an almost-winter market!! 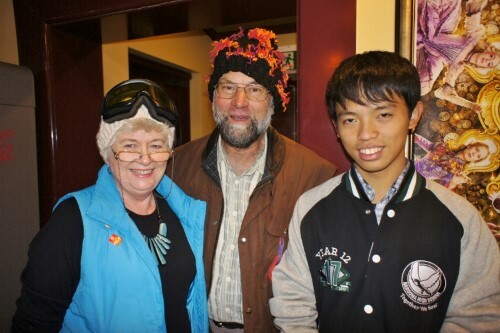 Later that evening Radar and I had dinner, in Wagga, with Wagga’s current exchange student Jess who hails from Taipei . 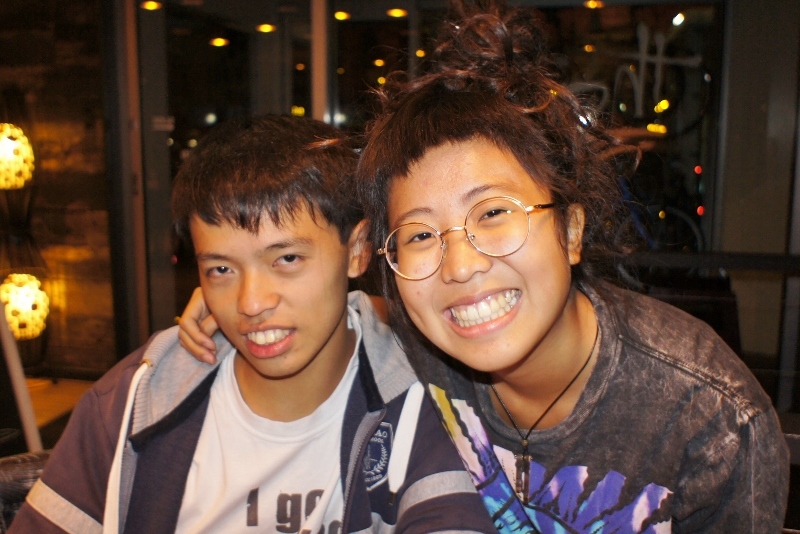 She is a fun loving student who delighted with her enthusiasm and Radar enjoyed talking with her in his native tongue. I’m sure they’ll catch up and exchange notes when they return home to Taiwan. Thursday night was a great information session by our computer expert Frank (he hates computers…lol…) who not only showed us how to use the Club’s website but did it in a way which made sense…. well at least for this computer non-expert…. who has a long way to go. Frank also showed how small some of the computers are and I was amazed by the size and power of them. This Thursday night Charmaine will be giving us a run down on her work in Cambodia. Should be a great insight into a whole world that we know very little about. Bring friends, they won’t be disappointed. Every Rotary meeting starts with an affirmation of our respect for the organisation of which we are a part, and for the four way test which is the moral foundation that guides the things we think and do. So on Thursday, Bob Aston will bring a new draft version of the Invocation (acknowledgement / thanks) that he and Laurelle have worked on. I’m looking forward to the discussion. Some basic instructions on how to add content to the website can be found in a link towards the bottom of the “Members only”page. A width of 500 pixels is small enough without being too small. Make sure you select “Only shrink “ to retain the aspect ratio. Open source software is usually free, and can be better quality than commercial software, simply because many eyes examining the code make light work. It is also often available cross-platform, which means it can run on non-Windows platforms. The most popular free non-Windows alternative is Ubuntu, which itself is open source. An alternative to Microsoft Office is Libre Office (Writer, Impress, Calc), while GIMP is as functional as Photoshop and vastly cheaper. VLCplayer, Image Resizer, 7zip, are all worth taking a look at. Interested in Music? Musescore is a great alternative to both Finale and Sibelius, while Audacity is a great free recording and studio tool that is so easy to use it is excellent even for simple things like removing clicks and pops after digitizing your record collection. Marriage is like playing the trombone. It looks easy until you try it. After a close fought battle last night we, the Narooma Rotary Club, just pipped the Moruya Club at the post to win the 2016 Cinders Trophy. This annual contest is a lot of fun, a little confusion but always a good night. Chris O’Brien did an outstanding job, as always, in organising not only the questions but the venue. Club Narooma looked after us with a great meal, bar service and space in the Montague Room. Steve Young drove Mike Dent and the Moruya crowd down in a bus. All this combined to help make the night run smoothly and keep the fun level high. The Cinders Trophy comes home ! It was fantastic to see the smiling Charmaine return safely from her trip to Cambodia. A quick talk revealed that not only did she enjoy the trip but the hard work the team put in was well appreciated and the “Tip” children can now show their pearly whites. I’m looking forward to her talk and grateful to all who worked to raise money for them to buy the little things that helped make the trip a success. May started on a Sunday so the Markets were with us, it seems, early in the month. With the wonderful warm weather we’ve been having it was another busy Sunday. John Doyle made sure of the numbers and there were plenty of helpers on the day. Radar and I travelled to Wagga on Sunday afternoon for a quick overnight visit. In his almost full year he has traveled around the country but Wagga was new to him. The Rotary Cambodia Dental Team, led by Narooma dentist and Rotarian Charmaine White, has returned after a most successful two weeks. The team treated children from families living on the rubbish dumps around Cambodia’s capital Phnom Penh as well as from a local orphanage. “There’s a school on the dump and we accessed kids through the school. They treated over 200 children with some needing two or three appointments. “That would equate to about $72,000 worth of work in Australia,” she said. Ms White said her team was fortunate in being able to use a dental clinic set up by dentist Robert Ogle as well as use his “wonderful translation staff”. 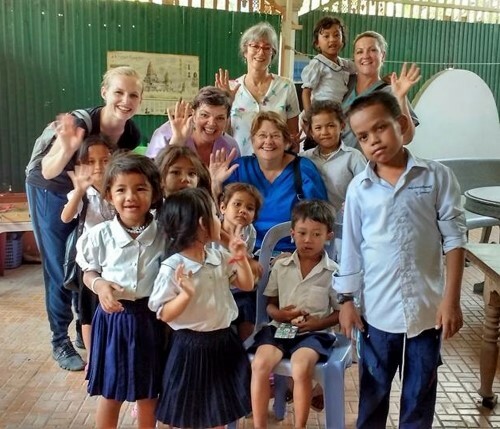 This was a joint project between RAISE Cambodia who coordinated contacts within Phnom Penh, Cambodia World Family who provided the dental clinic, and Rotary Australia World Community Service (RAWCS) who provided the working team. Ms White said they greatly appreciated the generosity of Narooma people who raised over $4,000 for the project. “We used this to buy disposable things like needles, filling material, gauze, as well as tuk tuk rides,” she said. The team also consisted of Narooma dental assistant Sharon Holcombe, Rotarian and Gold Coast dental hygienist Sharyn Taghoade, and German dentist Marlene Schulz. All team members paid their own airfares and living expenses. As a RAWCS project, it was organised in association with the Rotary Club of Phnom Penh. Ms White said she is already planning a return trip to Cambodia, this time to work with adults in the provinces outside of Phnom Penh who have never had access to any dental treatment. This week we battle with Moruya on our home turf for the coveted Cinders Trophy which we narrowly lost last year. Bring your “Brain’s Trust” and notify numbers by tomorrow (Monday) . and remember that it is at Club Narooma . Our board meeting last week agreed in principal to the Expo in October to show case what is new and upcoming on the alternate energy field. Frank and his team are getting things together and I’m positive this will be a community event with enormous interest. Bob Aston suggested that we acknowledge country within our invocation at the beginning of meetings. His suggestion was positively received and Laurelle is putting the words together. This will bring us into line with procedures for most other meetings and groups. The change over is fast approaching and Michael is getting ready to take control of the bell!! Deciding how to distribute funds, which our members have raised, to our community is always a big job. We don’t want to just give money for general purposes, if we can help it, but for equipment or something tangible. Still looking for input from members. 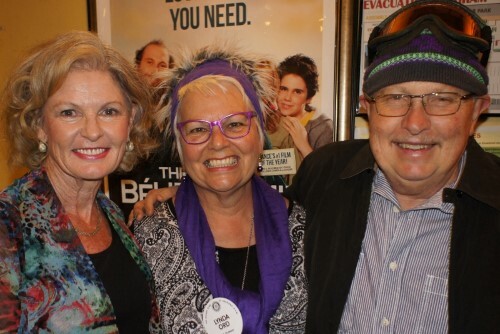 Our Polio movie night was a great success and with the money raised from the Polio Pig and a little help from our reserves we are able to send $1,000 to add to the more than 600 from the earlier movie night. Great work all. Its that time of year! The Quota Club also have a trivia night, on Friday 20th May 7pm for 7.30pm at Club Narooma Function Room. It is being run by with proceeds to the Eurobodalla Riding for the Disabled. Adding content to the Club’s website is as easy as adding something to facebook, but for the more adventurous, I’ve put together some notes on how to add photos and so on, (which is just a little more tricky). 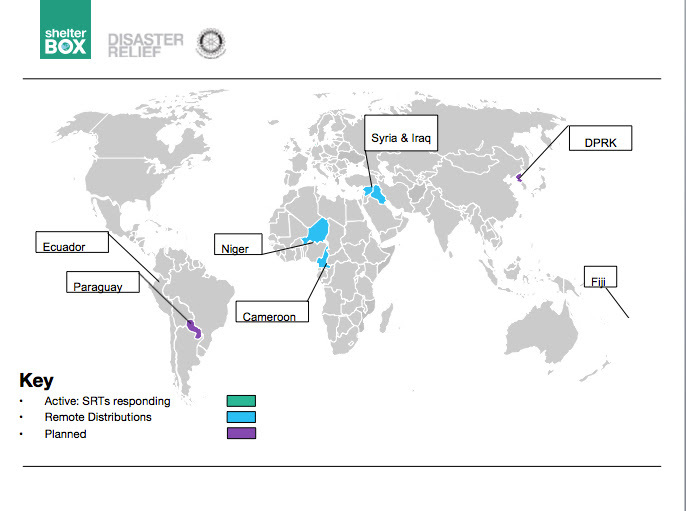 After many years of hard work, research and information gathering, I’m pleased to announce that we have been granted deductible gift recipient status (DGR) under the OAGDS (Overseas Aid Gift Deduction Scheme). This is great news and our new status will open up opportunities for fundraising with corporales and Private Ancillary Funds. The timing of the announcement coincides nicely with the approaching end of the financial year. Now is a great time for potential donors to make a tax-deductible gift to ShelterBox Australia! Below is the latest deployment information from HQ. Our response in Fiji is now in its final few days. No more distributions will take place but we will continue to conduct monitoring and evaluation activities over the next couple of days. We are also in the process of signing an MOU with the Red Cross so that we can leave 250 tarpaulins with them to distribute going forward as needed. The total number of distributions are 491 boxes, 293 tents and 401 shelter kits. The 999 shelter kits which were sent from our pre-positioned stock in Panama have now arrived in Ecuador and the team are in the process of moving it from the compound where it has been unloaded. The remaining 1001 shelter kits and non- food items are expected to arrive in country over the weekend. In total this will give us 2000 shelter kits, 1700 water filters, and 300 small ShelterBoxes which each contain 1 water filter, 1 kitchen set, 2 solar lights, 2 mosquito nets and 2 water carriers to distribute in Portoviejo, where we will work with local agency PROGAD and Habitat for Humanity. The boxes will be distributed with a shelter kit to those whose homes were completely destroyed in the earthquake. 175 tents were distributed last week and we are in the process of speaking with Relief Aid about distributing more shelter kits in Aleppo City, which continues to experience intense conflict. Following a distribution of 3000 shelter kits in Paraguay in response to widespread flooding at the beginning of the year, we now plan to send a monitoring and evaluation team to assess the effectiveness and impact of our work helping families displaced by the floods. No date has yet been confirmed for this, but it is a priority and should happen over the next couple of months. A monitoring and evaluation trip is also planned for North Korea and we are working with our contact to confirm a date. Isn’t the digital age fantastic!! I turned the computer on at 6 am this morning and at 8.30 I have just finished going through my Rotary emails for the last few days. As we can now communicate at lot easier than in the past, we now communicate a lot more. 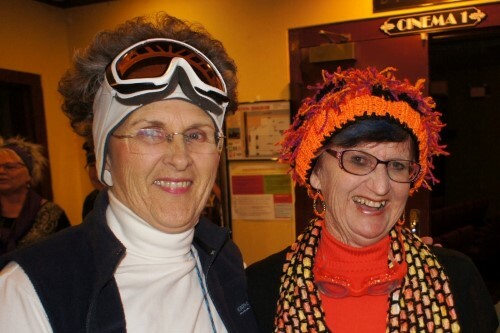 Last Thursday we had our Polio Plus Movie night at the Kinema, for the Narooma Premier of “Eddie the Eagle” . Many thanks to John and Janette for allowing us to host this night, to Chris O’Brien for organising (above and beyond) , to all who helped out and to those who came to support a very worthy cause. The bonus was two fold 1) helping end Polio. 2) A really good movie. Chris is working on the Cinders night and I hope you are all catching up on your trivia, we need to win so study hard and invite brainy friends!!! Frank and his team have started putting together a Solar / Alternative expo. More to come but the ground work so far looks very positive. Shelter Box has now received full tax deductible status. See article in the next Beacon. This week we have a board meeting and an update on some of the projects and more. On Wednesday 4th of May Radar, Sandra and I travelled south to attend the VIEW Club’s Zone Conference at Merimbula, as Radar had been invited to be their guest speaker. It was a pleasant day and were made to feel very welcome – plus we had a delicious lunch! Radar began by playing his erhu and he played two lovely pieces -one quite slow and evocative, and the other was lively, showing the full range of the instrument. He played beautifully and everyone listened very quietly and attentively. He then spoke about Taiwan, and about his experiences as an exchange student. He soon had the ladies laughing with descriptions of the ‘culture shocks’ he had experienced both at school and at home. His presentation was great and everyone enjoyed it very much. 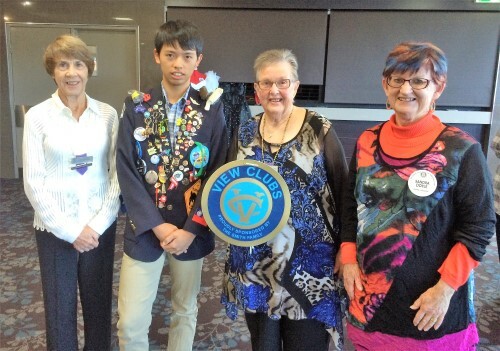 Before we left, the local Narooma VIEW Club asked if he would be guest speaker at their club in July! Sandra and I are designing our business cards now for our new venture as Radar’s Event Managers!! As some of you would know, the VIEW Clubs support the Smith Family, in particular their Learning for Life program for children and families in need. It was great to hear about the success stories of those supported through this program and to see the commitment of these local ladies to help others. 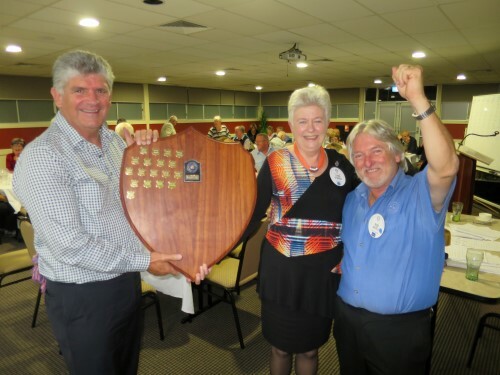 The Narooma and Moruya Rotary Clubs’ Cinders Trophy Trivia Night and Dinner will be held on Thursday 19th May in the Montague Room of Club Narooma on Thursday 19th May at 6pm for 6.30pm. The cost will be $28.00 per head and this includes a 2-course meal with tea and coffee to follow. Please try to invite as many of your friends as possible so we can take the Trophy back! The latest edition of “District Matters May 2016” is available. Highlights : Margaret Hassall to be District Governor 2018-19. They think BIG in Pambula – they made over $3,000 from cooking up Paella !!! Attended District Assembly with President Bob Antill. Unlike my experience at the Annual Conference last year in Canberra in 2015, this had an informative and well presented programme. I attended the Rotary Foundation and International sessions and it was heartening to hear about the work that was being carried out. It was also my impression that we as a club seem to punch above our weight. To be honest I had been in two minds as to the benefits of INTERACT until I heard two young women give a talk at our dinner that night. They were articulate, interesting and forceful in getting their message across as to the value of INTERACT and I left converted. It was then interesting to hear the next morning about clubs in our District in seeking to establish an INTERACT CLUB. It was readily apparent that it was a major task that required on going intensive support from Rotary Club members, but with such support being in the background. 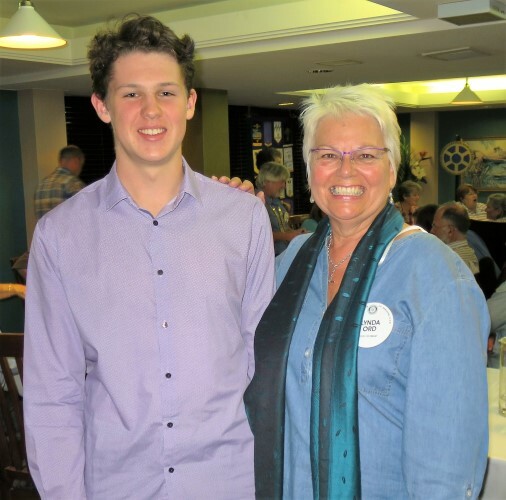 President Antill is hoping to move forward with the planning of an INTERACT CLUB in Narooma and I hope the club will get behind him with support. He will have my full support in 16/17 and hopefully that will continue in the future. Some trivia but not trivial, did you realise that there is a BAN on Rotarians being in any other service club? This was revealed to me when we were told of a rule change that would allow a member of ROTORACT to be also a member of ROTARY. ( catch they have to pay both annual fees). At first I laughed thinking it was a joke that if you were in rotoract you could not be in rotary. Yes folks it is true. While I have not seen the definition of what is a service club, but presumably you can’t be in CWA and Rotary and ditto for Zonta Probus and obviously Lions. I am still dumbfounded by this and can’t understand the logic behind this. Why should a membership of Lions debar you from Rotary and vice versa if you fulfil the requirements ( apart from Rotary’s ban) of both service clubs by serving your community. Finally, we were told that the rule is now, or will be shortly, that we are only required to have 2 meetings a month and that it need not be specifically a dinner, lunch or breakfast meeting. Think of the opportunities to liven up Rotary in Naroooma, so hopefully we can put on our thinking caps and come up with innovative meeting suggestions/locations to embrace change which seems to be a key message at the District Assembly if we are to survive and progress. A little late this week as I have been away for a few days. Saturday and Sunday I attended the District Conference in Berry with PE Michael. During the first session on District Grants I was asked to speak about our defibrillator program and our matching grant. It was a great conference and the dinner on Saturday night was a highlight. Today (Wednesday) Radar is bound for Merimbula with Lynda and Sandra to the VIEW Club meeting. Radar was asked to be the guest speaker about being and exchange student.I’m sure he will keep every one entertained. 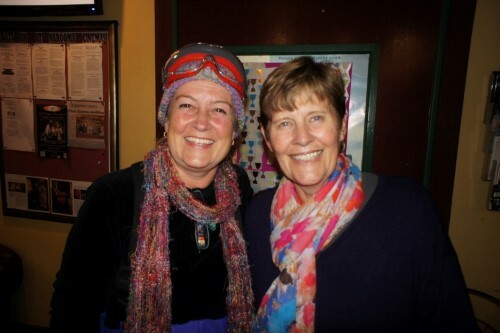 Last Thursday night was a great evening with Rachael organising our guest speaker Sue Barford, president of the River of Art organisation, what a great asset for our shire. Lewis Ives who went to Honeywell last year came and talked of the experience. Wow has he come a long way and even his Dad was surprised how he talked to a large audience. Not so long ago he was very shy. This is a very positive outcome for us and our youth projects. Tomorrow night (5th May) is our Polio Plus movie fundraiser of Eddie the Eagle . Bring ten friends and wear some interesting head gear. Many thank to Chris for her work on making this possible. Eurobodalla River of Art is a 10 day festival of live music, theatre, film, visual arts, literature, creative workshops and cultural experiences held along the picturesque NSW far south coast. This area, known as the Eurobodalla Shire, extends between Durras Lake in the north and Wallaga Lake in the south. Sue Barford, president of the organization spoke to us about the talented and skilled artists whose work is showcased by this festival. She also spoke about just how important this festival has become – drawing large numbers of people from Sydney, Canberra and elsewhere. © 2019 Narooma Rotary Club Inc.